Want to come above your competitors on Google? 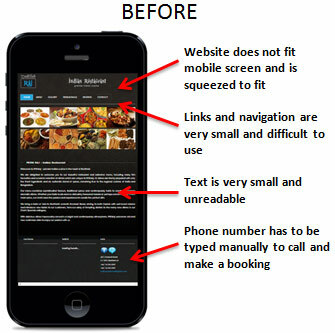 Google now gives ranking preference to mobile friendly websites! Act quickly before your competition steals the lead. 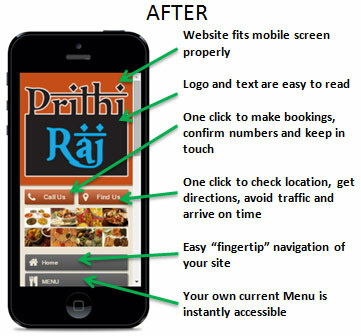 Mobilise is probably the fastest and easiest way to make your restaurant’s website mobile friendly. You don’t have to go to the time and expense of either rebuilding the whole site or building a separate one for mobile use. 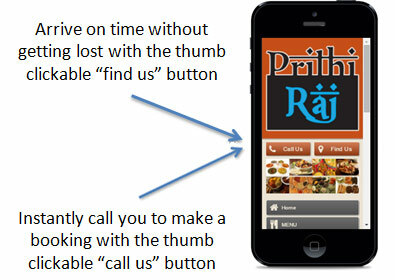 Mobilise by Positively Online is fast, simple and inexpensive. Want to try before you buy (and gain access to great discounts)? the difference this will make for your prospective customers. By becoming a customer through having a visualisation of your Mobilised website for just £1, you qualify for an existing customer discounted upgrade to a full go-live package. Please note, there is no obligation to upgrade to a full package. Got your £1 and are ready to get started? Call us today on 0114 303 0420 and we’ll have your visualisation ready in just 1 day!